If you are a big company that has the financial resources to maintain a full-blown IT department, you have probably been implementing the best practices documented in the information technology infrastructure library (ITIL), and this post may have little relevance for you. This post is more appropriately for those who either have yet to know what ITIL is, or have probably heard about ITIL but haven’t given it much thought because they have not seen its significance in their particular situation. ITIL is a framework of best practices to manage IT operations and services so that efficiency can be improved and predictable service levels can be achieved. Its history dates back to the mid-1980s when the UK government decided to document years of knowledge pooled from different people worldwide who managed IT helpdesks. The framework helps a business to establish a standard way of planning, selecting, delivering, and supporting IT services. It transforms the IT role from backend support to business service partner. When we remember that ITIL is a library, it is easy to appreciate the fact that it includes five core books (or volumes/publications), each corresponding to a certain IT service lifecycle phase. The five books are: Service Strategy, Service Design, Service Transition, Service Operation, and Continual Service Improvement. The first volume in the library, ITIL Service Strategy, encompasses strategy and value planning plus related topics. The second book, ITIL Service Design, presents guidelines for developing and maintaining IT policies, documents, and design architectures for service solutions and processes. The third book, ITIL Service Transition focuses on long-term change and release management concepts/practices, and shows how to transition into a business environment. The fourth volume, ITIL Service Operation, covers change management, application management, scalability, control and measurement, processes and function, and all activities necessary for daily operational excellence. 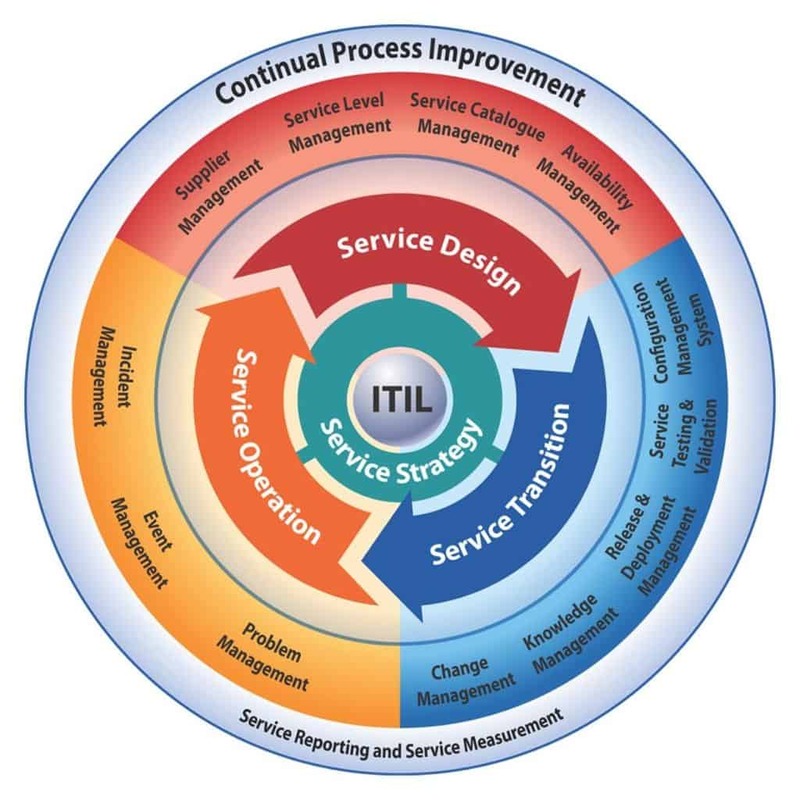 The final book, ITIL Continual Service Improvement, is about service quality within the continual improvement context, and also service retirement. It takes time and patience (and possibly aptitude) to go through all the volumes in ITIL. How far you would go into its details depends on the scale of IT usage in your own business. One thing is sure though: you need to understand at least the basics of ITIL service support so that you will be prepared to use one of the IT helpdesk software products available in the market. The basics deal with five essential concepts: Incident Management, Problem Management, Change Management, Release Management, and Configuration Management Database (CMDB). Incident Management deals with restoring IT services ASAP after the occurrence of an incident, which is a disruption of normal service that affects both the user and the business. Problem Management helps you find the root cause of incidents and reduce their impact on the business. Change Management is the process of coordinating IT changes within acceptable risk level and with minimal disruptions. Release Management is the execution or implementation of the plan made in the course of the Change Management process. Its goals are user education and smooth implementation of changes. CMDB is a repository of IT assets: hardware, software, documentation, and description of the relationship among the three. A good resource for digging deeper into the basics just described is the <emITIL Whitepaper which is available for free download from the ManageEngine website. Who Needs an Intrusion Detection System? When your server is down, just sit down and relax. The only thing you need to know is Key4ce 24/ 7 Support!